Grab your chainsaw as we're heading back into everyone's favorite cabin in the woods. 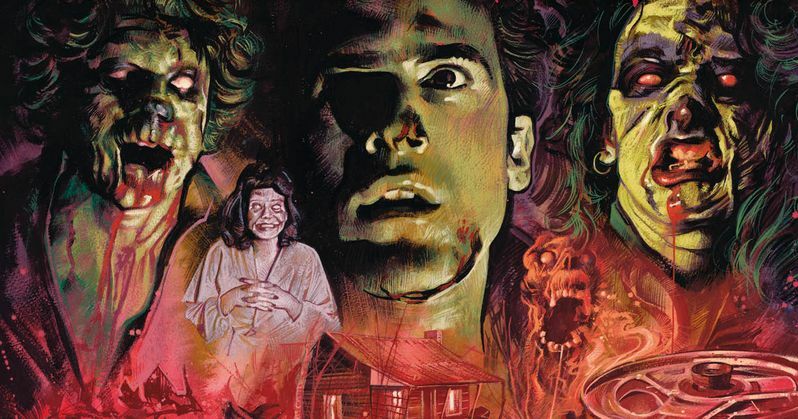 That's right, Sam Raimi's cult classic The Evil Dead is finally be getting a proper 4K scan this October. More than 35 years ago, a low-budget horror movie roared across movie screens and changed the velocity of fear forever - and made a cult legend out of Bruce Campbell in his iconic role as the lethal, wisecracking Ash Williams. Now, for the first time, you can experience the ferocious ingenuity, relentless shocks, and gore-gushing havoc of the original Sam Raimi masterpiece in 4K! Special features include audio Commentary with writer-director Sam Raimi, producer Robert Tapert, and star Bruce Campbell.